Beagle Rescue Victoria (“BRV”) is a registered charity, based in Melbourne, that rescues, rehabilitates and re-homes beagles in Victoria. The volunteers of BRV work full-time day jobs and run BRV in their spare time. They are all experienced beagle owners and know firsthand the joys - and the heartbreak - of having a hound around! BRV’s beagles come into care through a variety of circumstances. Some beagles have been rescued from local pounds and shelters; others have been rescued from abusive situations such as puppy farms; whilst others are privately surrendered for re-homing. BRV is devoted to the beagle breed and understands and appreciates their unique nature. And it’s because BRV understands the special qualities of beagles, that they are committed to finding the perfect home for each and every one. BRV will also undertake to assist any ex breeding dogs that have been housed alongside beagles that come into our care and who may also require assistance in rehabilitating and rehoming. - treated for known health issues and conditions. 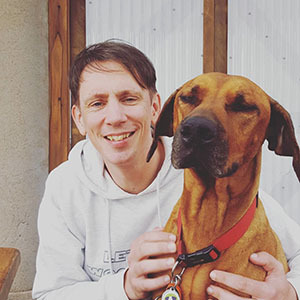 To adopt the dog, please fill out this form: http://www.beaglerescuevic.org/adoption.php with as much info as possible so we can match the right beagle up to your needs. Beagle Rescue Victoria is run by 100% unpaid volunteers, please bare with us as we respond to you. If there are any questions on our form that you do not want to answer, you can skip them. If you are applying for a non-beagle, please imagine the word "beagle" is replaced with the type of dog you are applying for as all the questions remain relevant regardless of breed. Sonya’s has recently been released from an animal testing facility and is ready to start her new life. Sonya is a very sweet little girl who loves having cuddles and attention. Sonya will happily sit by you purring in delight at the attention she is getting. Sonya loves other cats and needs to be rehomed with another cat. She is best suited to a family without young children and a calm and older household where she can thrive. Sonya needs to be rehomed as an indoor cat or with access to a secure cat run for her to safely have outdoor time too. 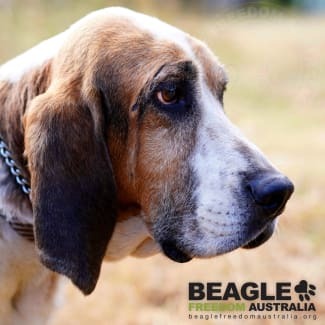 If you think you would like to give our beautiful girl a chance at life please click here http://www.beaglerescuevic.org/adoption.php Thank you. Our beautiful senior Genevieve was released from an animal Testing facility and is ready to find a home of her very own for the first time in her life. 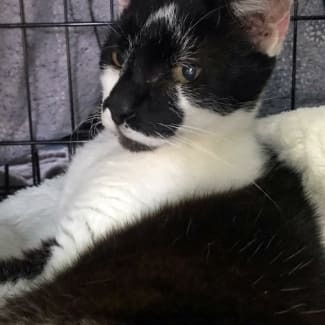 Genevieve would like to be an only cat, she will happily spend her days napping in a hammock, sleeping in her bed or on your couch and letting the hours pass by. 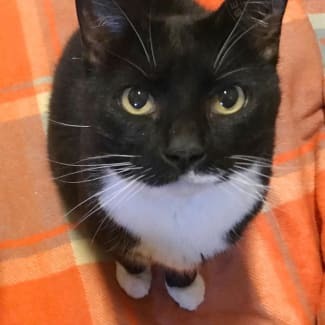 She is a beautiful natured older girl who wants for so little other than a human to love her and care for her and good food! Genevieve has some arthritic changes and is on daily pain relief to help control her pain. Genevieve is also on daily thyroid medication. If you think you would like to give Genevieve her very own home and love her everyday please fill in our online application form http://www.beaglerescuevic.org/adoption.php Thank you. 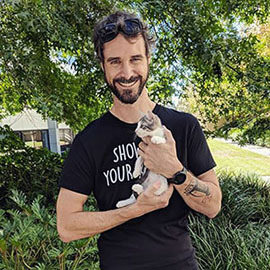 Andy has just been released from an animal testing facility and is ready to start his new life and find his very own forever family. Andy is one of the smoochiest and sweetest boys you could ever hope to meet. He adores other cats, he think humans are pretty special and he loves to chat away to you and tell you all about his days events. Andy is looking for a family who will keep him safe and indoors or with access to a secure cat area. 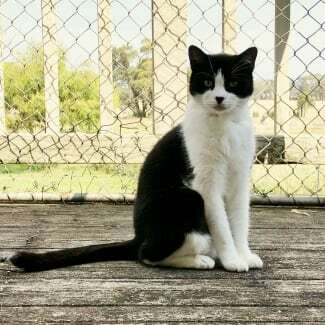 Andy must be rehomed with another cat and humans who want to give him a life that he has never known. If you think that you would love to offer Andy his very first family home and life please visit our website and fill in our online application form http://www.beaglerescuevic.org/adoption.php Thank you. Hazel has been released from an animal testing facility and is ready to find her very first forever family to love. Hazel is a foxhound and anyone that has ever had the pleasure of knowing and loving a foxhound will tell you just how amazing they are. Hazel is happy to spend her days wandering around and smelling the flowers and plants in her backyard, she loves napping her days away outside in the sun and loves her foster family. Hazel is desexed, up to date on vaccinations, heartworm negative and Microchipped. Hazel is also deaf but communicates very well with other dogs and her foster family. Hazel needs a home with at least one other dog and humans that are willing to show her just how amazing her new found works really can be. 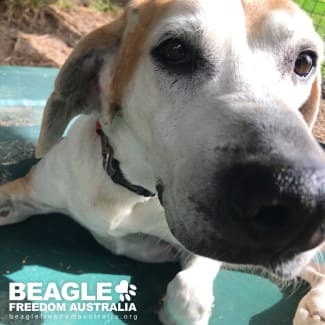 If you would like to apply for Hazel please click here http://www.beaglerescuevic.org/adoption.php and fill in our online application form. Thank you.